Due to the overwhelming amount of emails we receive every day, our response time to you may take a few days. We try to get back to people as soon as possible. We do not have a physical location, so there is nowhere for you to come and visit our animals. They all live in foster homes. 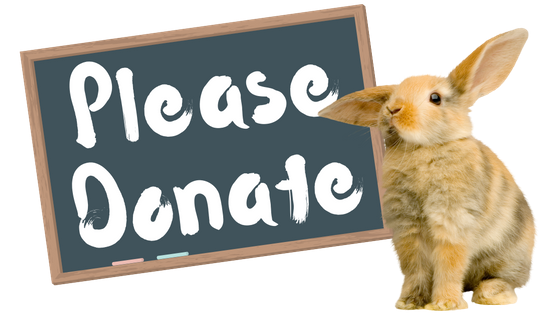 **We also still accept PayPal payments sent to luvnbunns@gmail.com, but these are the only two email addresses that link to our account. All old email addresses have been removed.